MESA, AZ--( June 24, 2008) - Rising fuel prices are not deterring summer vacationers from taking recreational vehicles out onto Arizona roads as they are still the most affordable, convenient family vacation option available today. The increasing demand at RV Rental Outlet, Arizona's largest RV rental company with current year model RV's for rent, has led to the expansion of their 2008 and 2009 motor homes, travel trailers, toy haulers and pop-up campers. The Recreational Vehicle Industry Association (RVIA) reports that even when fuel prices rise, RV trips remain the least expensive type of vacation for a family of four. As rising fuel prices are impacting increases in airfares, hotels, restaurant food prices and car rentals, the RV is still the most economical way to take short trips and provides flexibility and quality family time. Research from PKF Consulting, a leading tourism research firm found that RV vacations offer big savings over travel by car, plane with hotel accommodations or rental properties. Their studies revealed savings on average for a family of four to be 26 to 74% over other vacation types. "Our customers love the flexibility and fun they have by renting a vacation home on wheels," said Donn Kaebisch, co-owner at RV Rental Outlet. "We have all new top-of-the-line rental vehicles which are perfect for camping, exploring Arizona's national parks and scenic byways or for just a quick trip up North to escape the heat. No one should sacrifice a quality family outing when they have a convenient, affordable vacation option to spend time exploring the wilderness, cooking meals together and building new family experiences to remember for a lifetime." RV Rental Outlet has options for every type of vacationer, driving or towing, whether planning short and long distance vacations. They even offer rentals to take to Mexico. 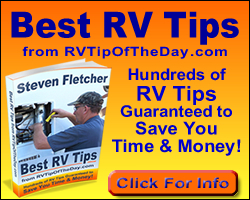 Every rental at RV Rental Outlet is new this year, nothing has been refurbished. The high grade motor homes are completely equipped with a bathroom that includes a toilet, sink and shower with hot water and a kitchen equipped with a sink, stove, fridge and even a microwave oven. The camp trailers and toy haulers can be towed by any light-duty truck or SUV. RV Rental Outlet offers affordable comfort and freedom to vacation the way families have traditionally vacationed for decades. Besides Arizona's largest fleet of 2008 and 2009 class C motor homes, toy haulers, travel trailers and tent campers for rent, RV Rental Outlet offers package deals, free airport shuttle, camping accessories and even rent-to-buy programs. Turn to RV Rental Outlet to expand your vacation dollars and maximize your summer vacation fun by calling 1-888-461-0023 or visiting www.rvrentaloutlet.com.